Chamomilla also known as Matricaria recutita, pineapple weed or German camomile, is an annual plant usually grows near populated areas all over Europe and temperate Asia. It is widely introduced in temperate North America and Australia. Chamomile is sometimes known as "the plant doctor", because it is thought to help the growth and health of many other plants, especially ones that produce essential oils. Chamomile has demonstrated moderate anti-bacterial, anti-oxidant, anti-platelet activity, and anti-viral, anti-fungal, and anti-cancer activity. 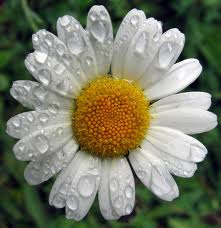 Chamomile is also used cosmetically, primarily to make a rinse for blonde hair, and as a yellow dye for fabrics. It also taken as a tea. Chamomile tea provides rest and relaxation. It actually helps people go to sleep. Chamomile is used primarily in homeopathy to treat sore stomach, irritable bowel syndrome, colic and as a gentle sleep aid. . Secondary uses include treatment of toothaches aggravated by cold air and warm food, painful menstrual periods with severe cramping and a feeling of anger or restlessness, extremely painful ear aches and teething pain in irritable children.